Group Discussion Ideas > General GD Topics > Should Delhi be given statehood? AAP (Aam Aadmi party), which is the present ruling party in Delhi is demanding statehood for Delhi. Till 1991, Delhi was a union territory. 69th amendment of Indian constitution, 1991 introduced article 239AA, which made Delhi as NCT (National Capital Territory of Delhi) and enabled special provisions to Delhi. As per this article, Delhi enjoys all the powers of a state except police, public order & police which falls into hands of central government. Hence Delhi is neither Union territory nor a full-fledged state. It has both Chief minister and Lieutenant Governor (LG). Both state and central government has control over Delhi to a certain extent. This is causing conflicts between state government and the central government. Conflicts between state and central government became severe in 2015 when the facility to recruit its own cadre of officers is taken away from Delhi state government. India is a democratic country and gives importance to self-governance. But in Delhi’s case, they do not have complete control over state list. This is an obstacle for state government in self-governance. Delhi governance is at the mercy of its LG. There were cases of misuse of power by LG. New schemes and projects could not get sanction due to the conflicts between state government and LG. This directly impacts the development of Delhi. Goa, Manipur, Himachal Pradesh and Tripura which were once union territories were granted statehood. The situations were quite different in 1991. Delhi’s population was smaller at that time. Now, Delhi is a home to nearly two crore people. Distinction of powers should be modified according to the requirements. New Delhi is the capital of India. Officials from top level such as President, Prime minister etc. live in Delhi, and many dignitaries visit the place regularly. Hence, security of the place cannot be left to the state government alone. In Delhi’s case, if land is in the hands of state government, it’ll be very difficult to establish any institutes or any offices in Delhi for the benefit of whole nation. If Delhi is granted statehood, there will be two governments and it will lead to many more conflicts. At present Delhi have all the benefits of statehood except police, land and law & order. It’s just that LG acts as central government’s system of checks and balances, which is essential because New Delhi is the capital of nation. Granting statehood to entire Delhi will only increase conflicts. 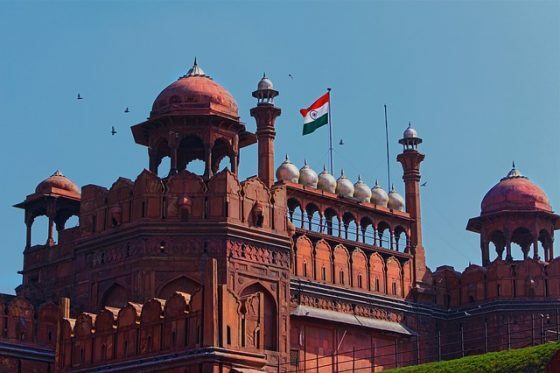 Rather keeping New Delhi in the hands of central government and granting statehood to the remaining part of the Delhi can make things smoother. Clear-cut distinction of powers will eliminate areas of conflict. the question is not should the Delhi be given complete ..statehood..
and the only fascist party will do that to take the credit of it..
by the way AAP is not fascist political party..